Completes 70 hours of community service on the Meredith campus that supports institutional community engagement projects like reducing hunger insecurity, registering voters, tutoring of disadvantaged students, etc. Meets with other Service Scholars and Community-based Learning staff to reflect on the impact of their efforts. Completes 70 hours of community service off campus with an approved community partner. The student selects a community partner and its affiliated projects from a list approved by the Community-based Learning staff. Begins to build a service portfolio, which contains evidence of the impact of the community service on the community and the student’s understanding social programs and diverse communities. Completes 70 hours of community service with a community partner whose focus aligns with the student’s social issue interest. Completes 70 hours of community service with a community partner on a project the student develops with the partner. Meets with other Service Scholars and Community—based Learning staff to reflect on the impact of their efforts. Presents the capstone project (research on the impact of her community service) on Celebrating Student Achievement Day. 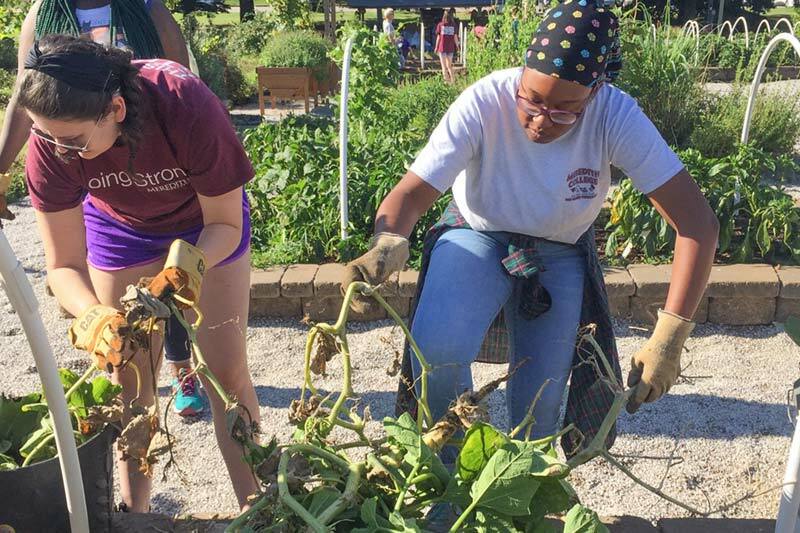 During her time at Meredith, a Service Scholar will take two courses that relate to community issues and community-based learning. One Community-Based Learning Course: The first should be completed no later than the end of sophomore year and can be in any department. The last, ideally, will be in the student’s major or minor discipline. Courses can be contracted for CBL credit in consultation with the professor and the Director the Service Scholars Program. One social issues class: Students will be required to take one course that address societal issues they may encounter in their service placements. A sample of these classes is included below, but other courses may be approved by the Director of the Service Scholars program.